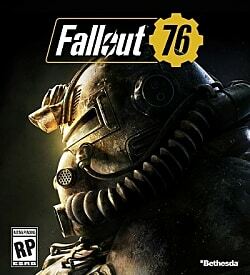 Twenty-five years after the bombs drop, the residents of Vault 76 finally emerge back into the untamed, post-apocalyptic world to rebuild the United States. Work together – or alone – to survive. Under the threat of nuclear annihilation, you’ll experience the largest, most dynamic world ever created in the legendary Fallout universe. Fallout 76 launches on Xbox One, PlayStation 4 and PC. Patch 8 lets players spend money to buy Repair Kits in a marked departure from the game's previous stance on premium item microtransactions. FO76's infamous beta error keeps rearing its ugly head from time to time. But is there anything you can do when the game tells you that "This account lacks the required entitlements"? Here you will find all five possible survey marker locations in Fallout 76 for your weekly challenge. Dealing with over-encumbrance is common in Fallout 76, and a new update from Bethesda looks to offer some very minor relief to issues with carry weight. A Fallout 76 YouTuber takes to Discord with claims that Bethesda has suspended their accounts for detailing item duplication exploits on their channel. Bethesda looks to improve Fallout 76's current player versus player combat system with a new mode that offers an experience "without PvP restrictions." Fallout 76 is full of disappointment. That said, Bethesda could salvage the game. To start, they'd just have to make a few changes - most of which we have listed here. Improvements to the CAMP system, the ability to re-spec characters, and quality-of-life changes for those playing on PC come to Fallout 76 in a new patch. This guide will show you where to find the Rusted Key in Fallout 76, as well as where to use it. Fallout 76's latest patch brings a much requested increase to stash sizes, but players are finding other changes not included in Bethesda's release notes. Following the very rocky release of Fallout 76, Bethesda promises increased communication and improvements to their new RPG. Improve your Fallout 76 experience significantly with the help of these seven best mods. Looking to give your new Power Armor a fresh coat of paint? Check out our guide, and you will be representing the 21st Century's most popular soft drink in no time. Looking for a simple way to farm mutations in Fallout 76? Here are two methods that will help you get any mutation you want. Sick of being over-encumbered and fighting with your stash size? This glitch will remove your carry weight limit and keep you looting. The Biggest Moments From QuakeCon 2018 Saturday Showcase: Fallout 76 Reveals!